I hope you enjoy this bonnet. a. From fabric that looks the same on both sides cut a 13"X 45"piece. Remove selvage. b. Fold up and press 4" on long edge for front and 2" for back of bonnet. on pressed lines and baste before pleating..
d. On 2" turn up, pleat five (5) 1/2 space rows for back starting first row 3/8" from folded edge. On 4" turn up, pleat eleven (11) 1/2 space rows for front, starting first row 3/8" from folded edge. a. French seam the back of bonnet. b. Machine scallops around neck edge, trim scallops. Again, don't worry about corners. a. Using a tapertry needle and dental floss or strong thread doubled, make a hole next to the back seam and take thread all the way around exiting on the other side of the seam. Pull up snug, tie off and use Fray Check on the knot. Pick pleating threads out at back seam and tie each row snug enough to lay flat. b. Cable on rows 1 and 3. Baby waves in between. Pull out pleating threads. a. Pick out pleating threads on bonnet front, pull up and tie off (no special length)for easy smocking. c. Turn up front corners to right side and attach ribbons over them, making a loop or something cute. Smaller ribbon bow sewed to back circle . 6. I made a few changes to the instructions found in Creative Needle Nov./Dec. 1992 by Nancy Marx. that would be cute for Easter maybe? Noah modeling Granny's bonnet for her. This wonderful old home has sat vacant and for sale for years. Why? I think it is because no one has a vision for it. I have a vision, just no funds to pull it off. With a few investors and my dream, this magnificent mansion could come back to life. What is my vision? Well, it’s not more empty office space as has been suggested by some. I mean how many empty office spaces does one city need? Also what dull thinking, how come every time an old building is vacant all anyone can think of is ‘office space’? Especially in a town full to over flowing with empty office space. That just seems to be a sore spot with me. But then I digress. Back to my dream which is pure fantasy. I can see it as a B&B . It’s location in the down town is perfect. Conrad Rose built this home for his family in 1906, he had a great input into the building of this valley. An orchardist who tackled the dry condition of this valley to plant and nurture fruit trees and to supply other farmers with the equipment needed to also farm with success. The home sits across the street for memorial park, so how fitting it be a memorial to the valley. To Conrad Rose and others. To me, it’s time to bring it back to life. I picture afternoon teas and a chance to educate the youth of the valley as to what life was like in the 1900’s. A place where people can just take the time to go back in time so it will never be forgotten. I could go on for hours, just ask anyone in my family. The possibilities are endless. I had the honor of testing a pattern for My Treasured Heirlooms. 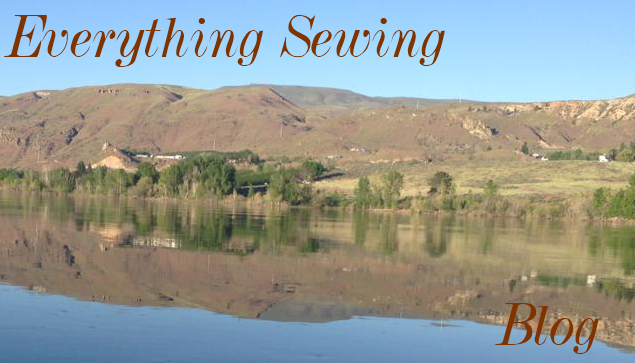 It is a wonderful fun and easy pattern and lends it's self to tons of different types of fabric. The first fabric that came to mind for me was a crinkle cotton but when I reached into my stash my hand landed on this pink gingham fabric. I do not remember where it came from and the way the fabric feels it has to be a polyester, but perfect for a summer frock. I do notice I need to adjust the straps a little better for her. You could also make this pattern a short top, which I think would be darling. 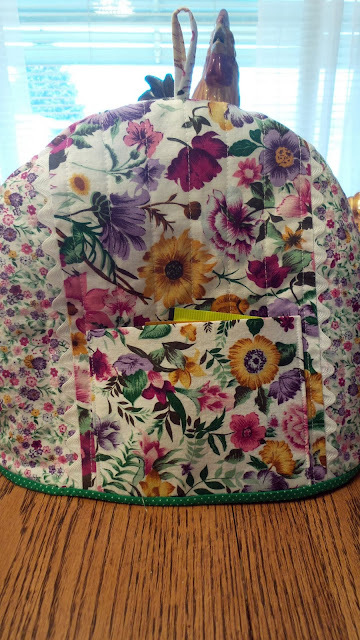 I used an invisable zipper in the back but the pattern also comes with a shirred option. Also offered with this pattern is options of smocking plates. I changed one plate a little and added a few more roses. I think you will really enjoy this pattern and all the options it offers. If any of you have visited Ancestry.com you know what I mean by leaf clicking. It all started very innocent for me, as most of the work on my fathers side of the family was done and my mothers side had been done. What was left? I guess until we start digging we just have no idea how big our family really is and the search has been long and sometimes frustrating. After all it has taken up sewing and blogging time. I decided one day to search for my fathers mother, that should not be to hard I had a few facts to go on and they advertise that you don’t need to know what you are searching for you just need to start. I didn’t know grandma’s maiden name when I started. I know it seems like I should have at least known grandma’s maiden name but I didn’t. This is the mother to my father, so you would think someone had gone down that road before but I guess not as any information has been hard to come by. I did find some fascinating facts about my fathers family. I knew the names on the chart but coming across pictures such as these, really bring the history to life. The first Jonathan Gillam was born in Lancaster county, Pennsylvania in the year 1753. He had fifteen living children in his will. This is Jonathan Gillam’s cabin. I have a cousin that actually has been to this cabin. There is also records stating that the family gravesite is located by a river close to the cabin marked by stones. This the the head stone of John and his wife Mary. This is my grandparent’s, and I can’t think right now how many greats to add to that. There are stories of the revolutionary war and the civil war, all very fascinating. I think I also mentioned very time consuming. Back to grandma (see I told you I get sidetracked) so far I have found out her maiden name was McBride or MacBride depending on where you are reading. Her father was born either in Canada or Pennsylvania and her mother was born in Pennsylvania ( I think). I have not been able to move beyond that information. I hope I can find the family and put as much together as I can for the grandkids. I know they don’t care now, but someday they will.